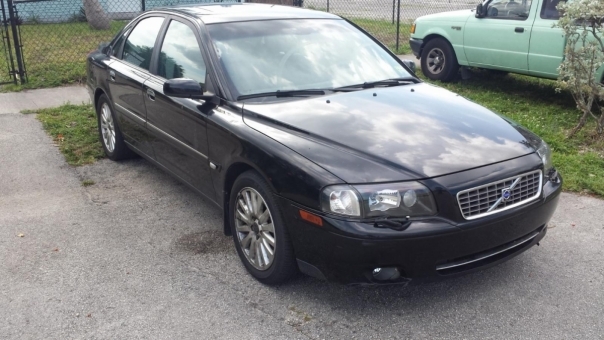 2004 Volvo S80! Runs and drives good, clean inside and out. Air Conditioning, Airbags, Alloy Wheels, Antilock Brakes, Child Seat Anchors, Cruise Control, Heated Seats, Power Brakes, Power Door Locks, Power Mirrors, Power Seats, Power Steering, Power Windows, Rear Window Defroster, Tilt/Telescope Wheel, Tinted Glass! No more public auction near me search, you have already found the best insurance auto auction online. With the auctions you get access to through our site, car buying becomes much easier and more enjoyable. We've created a community of people who are seeking a new, smarter way to purchase their next car and sell their old cars on public car auctions . Whether you're looking for a used sedan or a luxury car , Fiat or Ferrari, foreign or domestic, additional used car or replacing your existing used car , we empower you with the information and knowledge you need to make the right used car buying decision. You've got at your We disposal useful information and efficient tools to help you find a used car , compare car prices and decide on which vehicles for sale to bid. No need to worry about anything, we are a reliable public auto auction, and we have only certified cars with vehicle registration and all the inspections needed. Ovecom.net is a web portal designed for online vehicle shoppers who want to buy a car from a secured online auto auction. Our car website eases the process of buying a used car near you by offering several bidding options and simplifying the whole process of selling used autos or buying the vehicle of your choice. Purchase your car safe and easy with Ovecom.net!